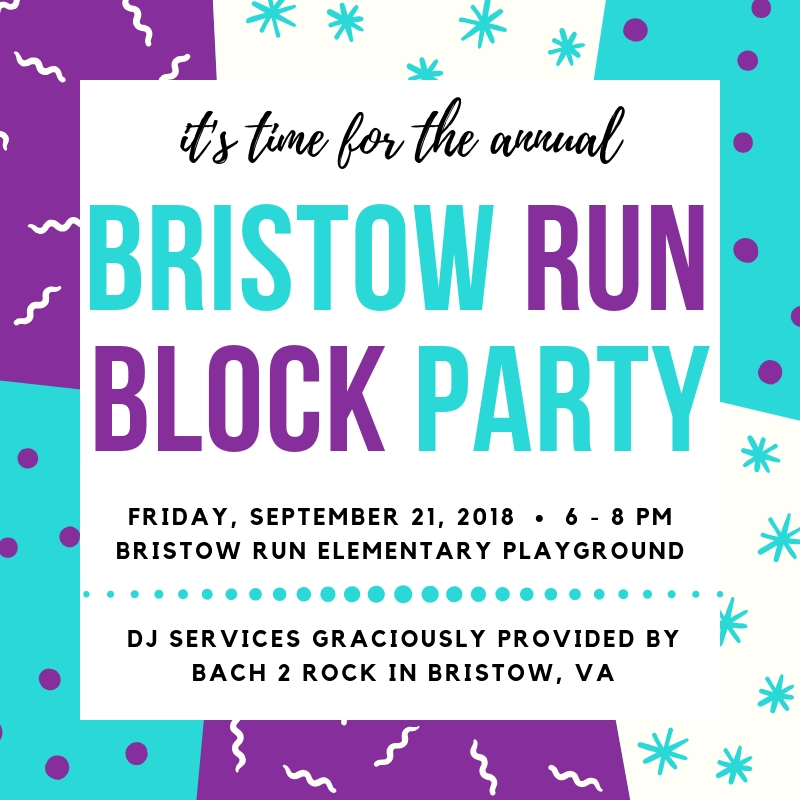 It's time again for our annual Bristow Run Block Party! Join us for hot dogs, chips, and drinks. Let the kids play while you catch up with old friends, meet new friends, and learn all about upcoming activities at the school and opportunities to get involved. We'll have a DJ spinning tunes, fun activities, and more! DJ Keegan will be appearing courtesy of Bach to Rock in Bristow.